A transcript of a series of questions asked by Magistrate Aaron Bugeja as part of the Egrant inquiry in an unpublished portion of the inquiry report seen by this website, shows the Magistrate’s interpretation of his terms of reference excluded the determination of who owns Egrant. “Se nagħmililek ċara. It-terms of reference tiegħi mhumiex li nindaga Egrant ta’ min hi. Biex anke int ikollok l-idea ċara.” (‘I want to make this clear for you. My terms of reference are not to investigate who Egrant belongs to. Just so you have the correct understanding’). Magistrate Bugeja is obviously correct in the interpretation of the terms of reference Joseph Muscat gave him. They were drafted with surgical precision like an expertly aimed bullet intended to avoid all vital organs. And they were interpreted with surgical precision by the Magistrate as he is bound to do. But some people may still be surprised at the startling clarity with which the Magistrate ensures it is absolutely clear to everyone that even if he were to find out who Egrant belongs to, and if he were to find out that that ownership would be illegal or at best politically problematic for anyone who should not be in possession of off-shore accounts, he would never over-step his brief. This is not Aaron Bugeja being facetious or wanting to cover up for the government. This is Aaron Bugeja doing his job as it is required of him according to law. You, of course, are none the wiser. A secret Panama company the existence of which is known to us by complete accident was set up indeed to be secret. If its owner did not mind us knowing, the company would have been set up in Mrieħel and given a C number. Instead, they went to great lengths (halfway around the world) to hide their identity. The location of any evidence of real ownership would have been clearly known and carefully kept. There are very rare occasions when Panama itself would have wanted or needed to know who owns the companies it registers. Proof of ownership would really have only been necessary to set up a bank account and all indications are Egrant’s bank accounts were in Dubai. Dubai refused Aaron Bugeja’s pleas for information and any remaining evidence of ownership appears to have been spirited away or destroyed. 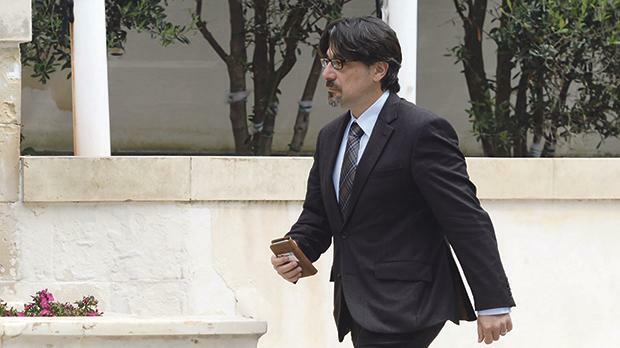 What was left was insufficiently reliable for the only yes/no conclusion the inquiry terms of reference demanded: does Egrant belong to Michelle and or Joseph Muscat? No evidence was found to give a ‘yes’ answer to that question. The next question begs itself: who does it belong to then? ‘That is not in my terms of reference,’ Aaron Bugeja clarifies. It is in somebody’s terms of reference to find out of course: the police. But they’re busy interrogating Pierre Portelli and Jonathan Ferris for the crime of telling the authorities what they knew to help them do their job.